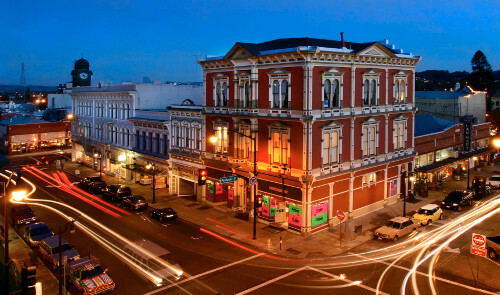 Chartered in 1858 along the banks of the Petaluma River, Petaluma is one of California’s oldest cities. During the Gold Rush the river carried locally grown produce, poultry and dairy products to feed the rapidly exploding populations of San Francisco and Oakland. It was spared much of the destruction of the 1906 earthquake so Petaluma boasts buildings whose foundations were laid a century-and-a-half ago and whose facades are some of the best examples of iron-front architecture in the entire United States.Downtown Petaluma was added to the National Register of Historic Places in 1995 and is today home to more than 600 businesses and 65 historical properties. Close to the City and the country, Petaluma is the southernmost city in Sonoma County.